Even as Union Budget for 2018 is barely three weeks away, experts urge the government to increase the short term capital gains criteria on equity shares holding. If you are a frequent equity investor, this might come a bad news for you. Many experts are of the opinion that the Finance Ministry should decide to increase short term capital gains on stock exchanges for 3 years in the upcoming budget. Reason behind this changes could be because of absence of long term capital gains on markets. 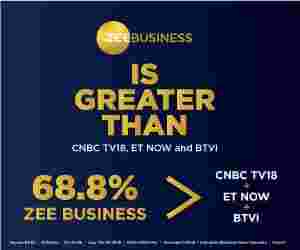 Sources told Zee Business that the government is incurring losses of nearly Rs 50,000 crore every year due to absence of long term capital gains. Currently, if a person who sells equity shares listed on stock exchanges within 12 months of his buying, he enters into short term capital gain which come under tax net. While equity shares, which are sold after 12 months of purchase, are considered as long term capital gains and are therefore exempted from tax. So, usually to avoid paying taxes, many would prefer to keep their equity shares holding for over a year, and thus enter into long term capital gains and pay no taxes. Now that the year of short term capital gains would be increased to three years, it would mean investors will have to wait for quite a long time for selling their shares, if they want to avoid taxes. Tax on short term capital gains currently is levied at 15%, irrespective of your tax slab. According to ClearTax, if your total taxable income excluding short term gains is less than the minimum income which is chargeable to tax (Rs 2,50,000 for financial year 2016-17) you can adjust this shortfall against your short term gains. It further said that remaining short term gains shall be then taxed at 15% + 3% cess on it. Whereas long term capital gain on equity shares listed on a stock exchange are not taxable.